It’s very very easy and convenient to sync Notes calendar with Nokia phone calendar using Nokia PC Sync in Nokia PC Suite(a free tool). 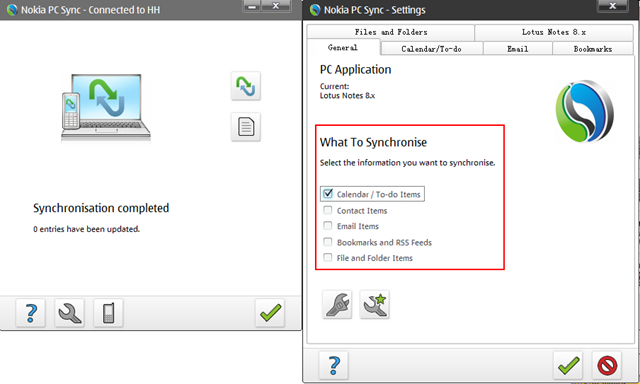 Nokia PC Sync can save the password for Notes id, and automatically sync calendars entries, contacts, emails etc. when my Nokia 5800 is connected to my laptop via USB cable or BlueTooth. Also IBM provides Lotus EasySync to sync Notes with mobile device. Nokia had done very good phones and very good jobs. Jobs’ Apple had done very good strategy and ecosystem, but will rot off without Jobs.